The 36th ROPA Conference will be held this summer in Boston, Massachusetts, July 28-30. There will be a negotiations workshop Saturday, July 27, for orchestras negotiating new CBAs in the current and coming year. My colleague, fellow Local 433 (Austin, TX) member Aaron Lack and I hopped on a plane to Washington, DC, at the beginning of December. 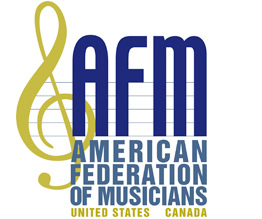 We were headed to American Federation of Musicians Leadership Training. The AFM hosted the three days of training with leaders from the AFL-CIO Organizing Institute at the Tommy Douglas Conference Center in Silver Spring, Maryland. The 2018 Recording Musicians Association (RMA) General Conference met November 2-3 at Local 802 in New York City. Delegates from New York, Nashville, and Los Angeles gathered to share reports, discuss issues, hear from local and AFM officers and staff, and hold elections. The 23rd annual Theatre Musicians Association conference was held this past August at the new AFM Local 47 office in Burbank, California. It was a day and a half of interesting and informative addresses, presentations, and discussions. On September 27-29, representatives from the Canadian Federation of Musicians (CFM) took part in the Folk Music Ontario Conference (FMO). The 56th annual ICSOM Conference was hosted by the musicians of the Cincinnati Symphony Orchestra and Local 1 on August 22 – 25, 2018. The 43rd annual Conference of the Organization of Canadian Symphony Musicians (OCSM) was held August 13-17 at the Hotel Pur in Quebec City, Quebec. The Players’ Association of the Orchestre Symphonique de Quebec hosted the conference.